SACRAMENTO, CA – Animal rights extremists would be given unchecked vigilante powers to attack dog owners under a revision to AB1634, which is now before the legislature. The Senate Local Government Committee will hear and vote on the bill this coming Wednesday, June 25th, in Room 112 of the State Capitol. The hearing will start at 9:30 AM. AB 1634 originally was a statewide mandate for spaying or neutering almost all dogs. It was defeated last year, but has been given new life through an agreement by its primary sponsor, Rep. Lloyd Levine, and Senate Local Government Committee Chairman Gloria Negrete McLeod. On the surface, the revised legislation removes mandatory spay and neuter, which has lulled some dog owners into thinking that this issue has been dropped. However, an analysis of the legislation by the American Sporting Dog Alliance shows that the revised bill approaches mandatory spay and neuter through a backdoor approach that is far more devastating to dog owners than the original version. The legislation empowers anyone to make a complaint alleging that any dog owner is in violation of any law or local ordinance. The complaint does not have to be proven, and dog owners are denied the right to challenge a complaint in a court of law or through an administrative review process. A simple complaint establishes guilt under the revised legislation, and “guilt” translates into a choice between paying a high fine (called a civil penalty, which is much more than a semantic difference) or spaying and neutering one’s dog or dogs. People who are accused of any violation are denied their day in court, and have no appeal. This legislative sleight of hand would allow animal rights activists to act as vigilantes by searching the state and reporting any dog owner who does something they don’t like, even if their complaints are pure fiction. and other animal welfare organizations empowered to enforce animal cruelty or other dog laws. The only exclusion is that a complaint about barking dogs does not trigger the enforcement actions of this legislation. All other alleged dog law violations are included. The legislation does not require an allegation to be proven, and does not allow an animal control agency the discretionary power to review any complaint for its merits. A simple complaint translates into guilt. Using animal cruelty laws as an example, a complaint can be filed by anyone who believes or claims that someone is not taking good care of an animal. They don’t have to prove it. All they have to do is make a complaint. Similar cruelty complaints could be lodged against the owner of a dog being hunted or competing in a field trial during bad weather. Another example is a complaint about alleged leash law violations. Someone could complain that a dog that is being hunted or is competing in a field trial violates a leash law. This, too, would not have to be proven. Still another example would be if an animal rights activist trespassed on private property, and a dog acted defensively by barking. Such a dog could be accused of being a dangerous dog, simply for protecting its home against a stranger. The legal trick is to call an alleged violation an “administrative” issue, rather than a crime or a violation of civil law. For crimes or violations of civil law, a person is entitled to defend him or herself in court, and the burden of proof is on the state. For administrative actions, those guarantees of due process under the law are denied to dog owners. There is no requirement for proof of any kind. There is no opportunity for a dog owner to defend him/herself. There is no appeal. Another spin-off of this legislation is that local officials would be under continual siege by animal rights groups to adopt new animal ordinances. The American Sporting Dog Alliance urges all California dog owners to contact the members of the Senate Local Government Committee immediately (remember that the hearing is Wednesday) and express your opposition to this legislation, called AB1634. This is a VERY important contact! The American Sporting Dog Alliance represents owners, hobby breeders and professionals who work with breeds of dogs that are used for hunting. We are a grassroots movement working to protect the rights of dog owners, and to assure that the traditional relationships between dogs and humans maintains its rightful place in American society and life. Please visit us on the web athttp://www.american sportingdogallia nce.org. Our email is ASDA@csonline. net. similar abuses have been perpetrated upon our citizenry nationwide. sources from our diets as well as availability for our pets’ diet. level to have a bill sponsored to mandate spaying and neutering nationwide. all American pet owners according to sources on Capitol Hill. we may have and band together now as a unified group to let our U.S.
federal MSN bill. Please fax your letters to the contacts provided below. message you wish to send. The important thing is to contact everyone NOW!!! Thank you for taking the time to do this now. I am writing to you today about the imminent threat posed to our nation by the actions of animal rights groups. Large, very well funded and connected, animal rights organizations such as the Humane Society of the United States and PETA are engaged in a continuous and monumental effort to influence our legislative process to further their ultimate agenda of no animal use. They are achieving their goal at an alarming rate as one “feel good” animal law after another is passed by our legislators. More often than not, these law makers believe they are upholding the will of their constituents by passing laws that will help animals and protect them from cruelty. Sadly, laws proposed by animal rights organizations are purposefully designed to achieve the opposite end. As an example, in order to solve a non existent pet overpopulation claim, the Humane Society of the United States is now seeking to control and eventually end all breeding of cats and dogs by proposing and strongly lobbying for a plethora of mandatory spay and neuter (msn) laws passed at city, county, and state levels nationwide. California AB1634 and Arizona HB 2516 are state wide msn bills under consideration for passage. Palm Beach in Florida and Los Angeles, Sacramento and Stockton in California have already recently passed msn laws. Exemptions that are provided are cleverly written in a way that no dog or cat breeder will ever qualify for them. 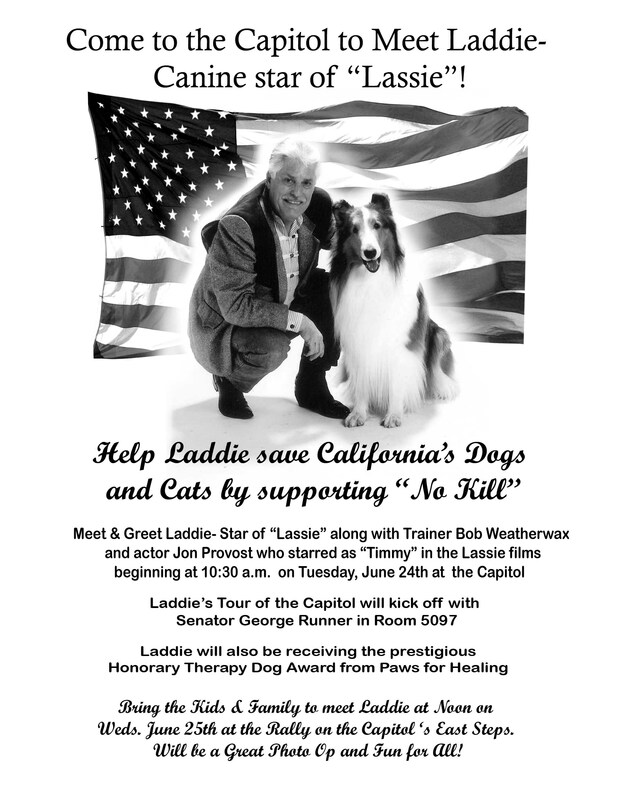 Term limits were upheld recently in California that were voted in by the people to stop professional martyrs such as Assemblymember Lloyd Levine who serves to promote the animal rights agenda in the already economically depressed state of California. These laws are blatantly unconstitutional at both state and federal levels. HSUS is currently seeking a sponsor for a mandatory spay and neuter law, based upon California ’s AB 1634, to be enacted at the federal level. Once enacted, these laws are typically enforced by the SPCA who illegally assume full police powers to seize pets and terrorize anyone they feel are not fully compliant with the msn law. These msn laws ultimately interfere with interstate commerce within the pet industry anywhere they are enacted by eliminating the sources that produce puppies and kittens. The Humane Society of the United States, not content with its efforts to eliminate all dogs and cats, is actively seeking to eliminate animal agriculture as well and turn the United States into a purely vegan country. Typically, they do an expose’ that will convince the public that some form of cruelty exists. They show veterinary approved and widely excepted methods of animal agriculture, such as use of cages for hens, expose these methods as cruelty, manipulate the media to broadcast their message, and then seek to redefine how animals destined for our food shall be raised. The unfortunate but well intended result is that the cost of meat goes up making it less affordable to the consumer. This takes meat out of the diets of those least able to afford food and puts many children at risk for malnutrition as animal based protein is essential to human development. One such inspired proposed law in California to regulate the poultry and pork industry is already causing large farms to plan to leave that state even before the law is enacted. HSUS is no authority on proper animal husbandry and has absolutely no business even attempting to regulate our agriculture. They are endangering our food supply and all American citizens by doing so as well as interfering with interstate commerce and therefore, the economic stability of the nation. Because of their multi-million dollar budget, private citizens have no chance for his or her voice to be heard. These organizations lobby using lies, misrepresentation of animal husbandry policies and HSUS works directly through our political process to promote their animal rights agenda for total non animal use. This agenda endangers interstate commerce and our food supply as well as violates their not- for profit status. Their anti animal use laws such as mandatory spay and neuter laws and breed specific laws are blatantly unconstitutional and violate animal owner civil and property rights. Furthermore, animal rights groups who believe themselves to be in an enforcement capacity such as the SPCA assuming police powers, are impersonating police officers, are armed, and are seizing public property (pets) without due process and are holding illegal hearings in many cases to determine disposal of seized property. The legal definition of cruelty to animals is the intentional infliction of injury and pain. It took 20 years to develop and put into place the Federal Animal Welfare Act. Now private 501 c corporations are employing gun wielding, jack-booted self-appointed vigilantes who are illegally raiding businesses and individuals homes in violation of our Constitutions. Private corporations are not peace officers. These actions violate citizen constitutional rights on both state and federal levels. We demand immediate protection from these acts committed by the Humane Society of the United States, PETA, and the SPCA under the Animal Enterprise Terrorism Act. We are under siege and desperately need your protection from these domestic terrorist organizations. History is repeating itself except this time it is on our soil. With the passing of mandatory spay neuters laws in each community, the once law abiding citizen is made a criminal, now fearful of that knock on the door. Thank you so much for your time and prompt action on this matter. *The tax law, which prevents so-called direct political intervention by tax-exempt organizations, known as 501(c)(3)s, was first introduced as a little-noticed amendment in 1954 by then-Sen. Lyndon Johnson, Dem. Whether an organization’s attempts to influence legislation constitute a substantial part of its overall activities is determined on the basis of all the pertinent facts and circumstances in each case. The IRS considers a variety of factors, including the time devoted (by both compensated and volunteer workers) and the expenditures devoted by the organization to the activity, when determining whether the lobbying activity is substantial. Under the substantial part test, an organization that conducts excessive lobbying activity in any taxable year may lose its tax-exempt status, resulting in all of its income being subject to tax. In addition, a religious organization is subject to an excise tax equal to five percent of its lobbying expenditures for the year in which it ceases to qualify for exemption. Further, a tax equal to five percent of the lobbying expenditures for the year may be imposed against organization managers, jointly and severally, who agree to the making of such expenditures knowing that the expenditures would likely result in the loss of tax-exempt status. Please send your comments to comments@whitehouse.gov. Due to the large volume of e-mail received, the White House cannot respond to every message. For further up-to-date information on Presidential initiatives, current events, and topics of interest to you, please continue to use the White House website. If you know the specific organization or official you wish to contact, please indicate such in your message or check the Component Contact Information Page to contact them directly. Please include your mailing address in the event that the Department replies via United States Postal Service. To comment on the USDOJ Web site, please e-mail webmaster@usdoj.gov.